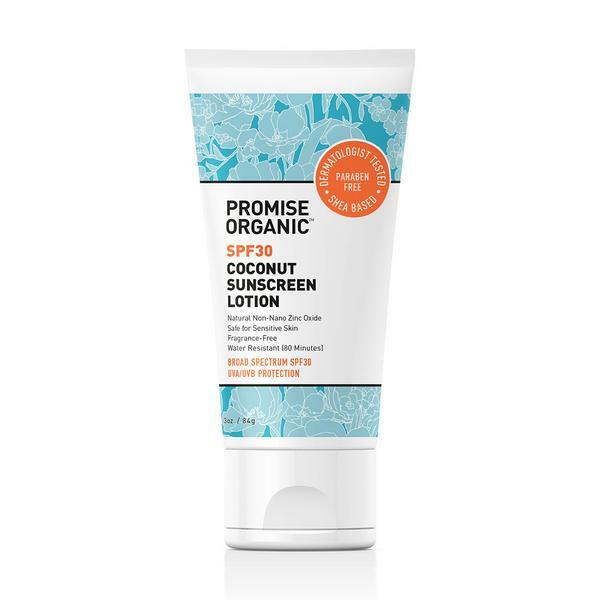 I received some products from Promise Organic to try out. What is interesting about these products is that they do not use water as their primary ingredient, instead they use Aloe Vera. This makes the products stronger, but it also makes them help heal the skin, soothe the skin and it helps hydrate the skin. A light, foaming gel cleanser, scented with coconut, that cleanses and purifies skin without stripping or irritating it. For normal to combination skin. It contains Coconut Milk, Cupuacu Butter to instantly hydrate and soften the skin. Instead of using water as their first ingredient, Promise Organic uses Aloe Vera, which makes for a product that provides excellent hydration and nourishment to the skin. This product is packed with naturally derived ingredients. The cleanser has been dermatologist tested and is safe for use on the face. It is also safe for sensitive skin. The cleanser is pH balanced too. 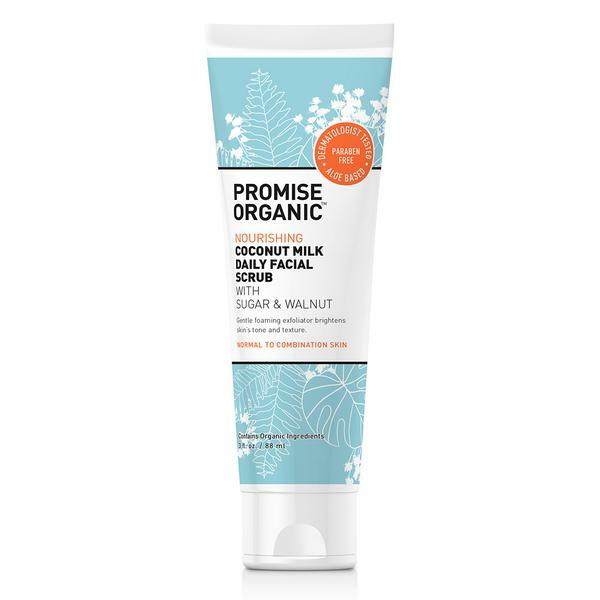 I like that I can use it on my combination skin (my dry skin gets a little oily in the summer) and it does not strip my skin of its natural moisture barrier. This cleanser leaves skin feeling clean, not dry and chapped, soft and moist. I love how it makes my skin feel so much that I replaced my other cleanser with this one. And you only need a small amount so the tube should last a very long time. These days just about everyone has a cleansing towelette. Just because a company does though, does not make it necessarily a good one. 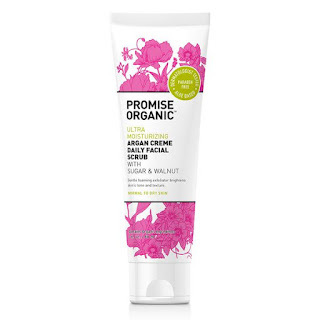 I like the one from Promise Organic because it really cleanses the skin well, getting rid of extraneous dirt, oil and makeup to leave skin feeling clean and ready for my nightly skincare routine. At night I am often way too tired to cleanse my face the proper way. So I rely on cleansing towelettes. 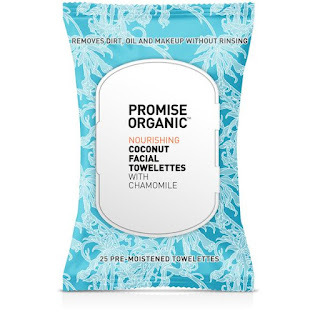 These towelettes have the perfect amount of moistness and are soft, gentle and easily remove dirt, oil and makeup without any rinsing whatsoever. They take off the hardest to remove waterproof makeup: mascara, lipstick, etc. 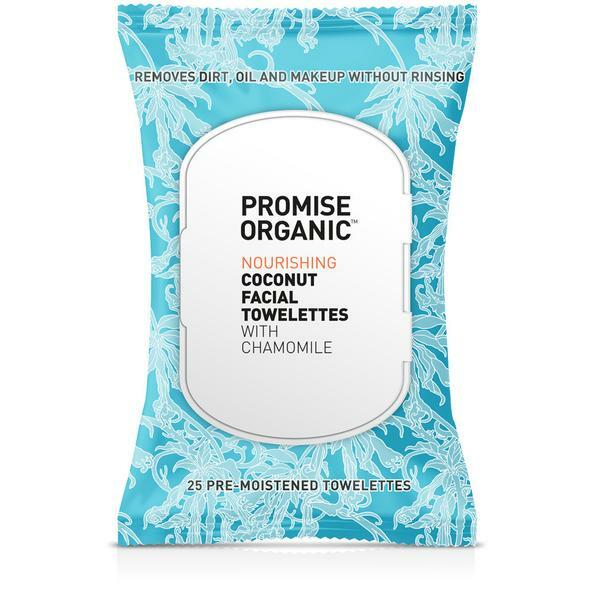 The towelettes have Coconut Oil and Chamomile to instantly hydrate and soften the skin. As with other products, Aloe Vera is their first ingredient, not water. This helps to ensure hydration and nourishment. The towelettes are packed with organic and natural ingredients. They are safe for sensitive skin and are pH balanced. I was pleasantly surprised how much I liked them considering I have a favorite brand of towelettes that I use. Well, I think I will be using these now. Exfoliation is one of the keys to successful skincare. Another is to have the right exfoliant for the right skin type. If you have normal to combination skin, without any major acne lesions, then you can have a very nice scrub to a lot of the work getting rid of dead skin cells, clogged pores, and extraneous skin that blocks the beautiful skin down below. This scrub is a unique blend of organic sugar and organic walnut shells to gently exfoliate the skin on a DAILY basis. Yes, it can be used daily it is that gentle. It is an Aloe Vera based formula that has a touch of organic honey to moisturize and sooth skin. It does create a gentle foam to help cleanse the skin while it exfoliates. The scrub is packed with naturally derived ingredients. It has been dermatologist tested, it is safe for sensitive skins and is pH balanced. Since this scrub foams some, I tend to use it in the morning as a cleanser for my skin. I like to use exfoliants in the morning to wake up my skin and bring the blood to the surface of the skin. This helps promote oxygen as the surface of the skin which helps promote collagen production. This all mineral sunscreen, containing only zinc oxide at 20%, combines the latest skincare science with high performance NSF/ANSI 305 certified organic ingredients to provide a full spectrum UVA/UVB sun defense for powerfully effective sun protection for the face and body. It is a unique and natural formula. It is free from all synthetic and harmful ingredients. It is a creamy formula combining Zinc Oxide, Shea Butter and a blend of essential oils. This sunscreen is water resistant up to 80 minutes. It is a non-toxic sunscreen and is safe for all skin types including children and babies. The product has been packed with naturally derived ingredients. It is dermatologist tested, safe for sensitive skin and is pH balanced. While this product is not my favorite lotion due to the thick formula that is more difficult to spread, it is a good alternative for those looking for a mineral sunscreen with a truly pure, clean and 100% natural formula. It is one of the first zinc oxide sunscreen formulas to contain only all-natural and organic ingredients for a safe, effective and healthy sun protection without the synthetic base or chemical ingredients usually included in sunscreen products. A good alternative to the lotion, if you find it too difficult to spread on, could be the sunscreen stick which glides on with ease. To use this product: apply liberally to face, neck and body. Wait 15 minutes before sun exposure and rub into skin, so that it has time to metabolize with the body. For best results, reapply every two hours or after 80 minutes if the skin has been wet. Even in the summer, hands still get dry and can become cracked. It is essential to keep them hydrated. 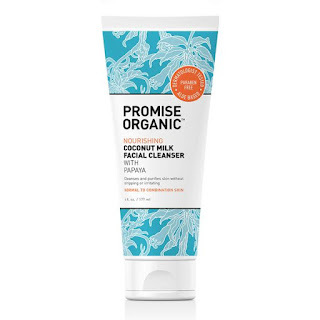 Instantly soothe and smooth dry, cracked hands with this hand cream that is amazing. For normal to combination skin or any skin really. The primary ingredient in this product is Aloe Vera to help with hydration and nourishment of the skin. It is also rich is Shea Butter, the perfect solution for dry, cracked, active hands. This hand cream is also packed with 100% naturally derived ingredients. It is dermatologist tested and is safe for sensitive skin and is pH balanced. I love the coconut scent of the product and love the way it makes my hands feel. As it is going on it feels like it is going to be very rich on the skin but actually sinks into dry skin immediately so that your skin gets nourished right away. Hands feel soft, not greasy and the cream can even last through one hand washing. I also tried another exfoliant from Promise Organic. It is from their Argan line, which is for drier skins. This scrub is a unique blend of organic sugar cane and organic walnut shells that gently exfoliates the skin on a daily basis. It is for normal to dry skins. As with the other products, this is an Aloe Vera based product with a touch of organic honey to moisturize and soothe skin. It also creates a gentle foam to cleanse the skin while it exfoliates. It is packed with naturally derived ingredients. This product has been dermatologist tested and is safe for sensitive skin. It is also pH balanced. Because this scrub foams up some, I tend to use it in the morning as a cleanser for my skin. I like to use exfoliants in the morning to wake up my skin and bring the blood to the surface of the skin. This helps promote oxygen as the surface of the skin which helps promote collagen production. If you have collagen production, then you have wrinkle reduction. I prefer this scrub over the Nourishing Coconut Milk Daily Facial Scrub because it is thicker and exfoliates better. I like a very good exfoliation when I scrub. 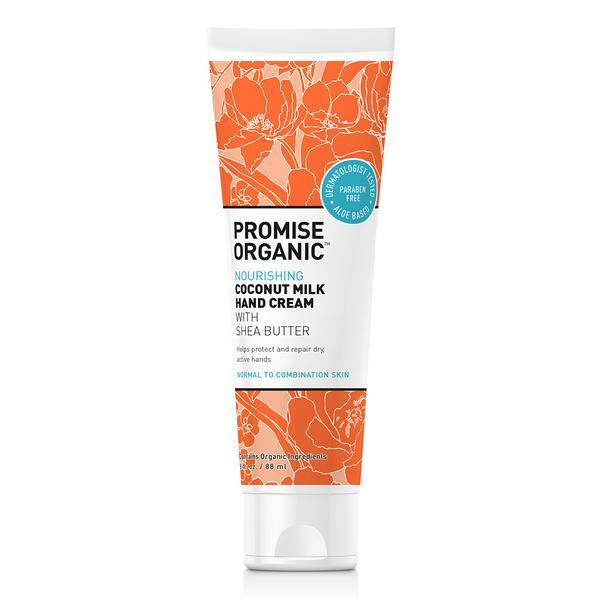 Promise Organic has two lines, the Nourishing Coconut line and the Ultra Moisturizing Argan line. It is available exclusively through CVS/pharmacy. 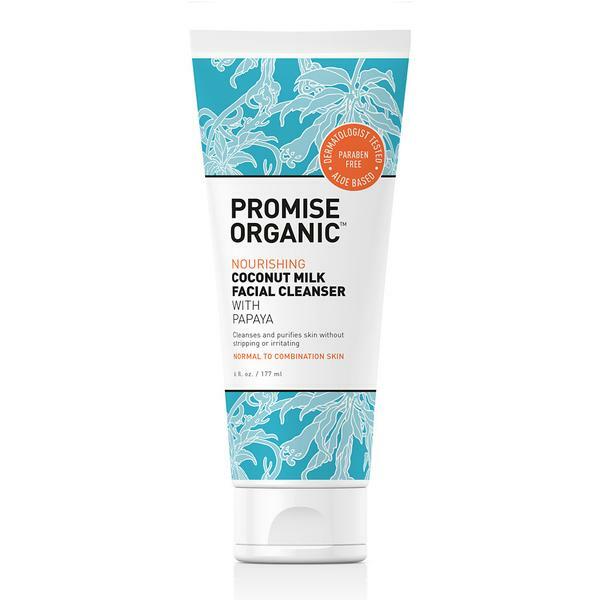 Like Promise Organic on Facebook: https://www.facebook.com/promiseorganic/; Follow Promise Organic on Twitter:@promiseorganic and Follow Promise Organic on Instagram:https://www.instagram.com/promiseorganic/.